Whether you are alone this Valentine's day or with someone you love, you can spend the day with your true love-Chocolate. 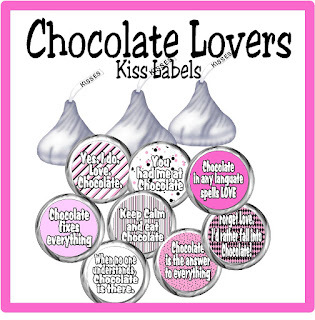 These Hershey kiss labels have 8 different chocolate lovers sayings on them to enjoy anytime of the year, anytime of the day. Whether you have some one to spend the Valentine's day with or not, spending it with chocolate kisses can't be a bad idea! 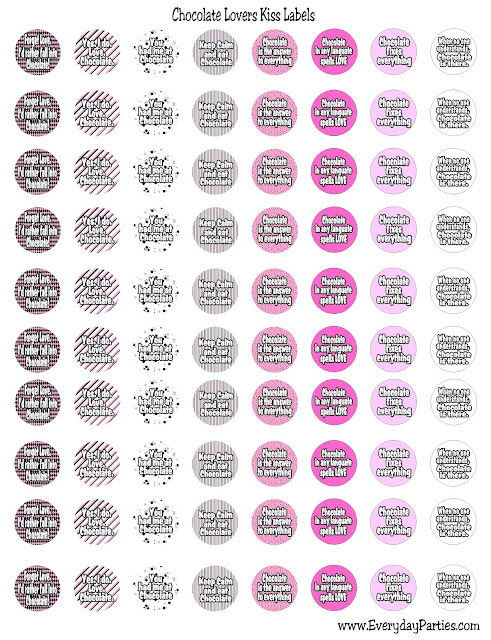 You'll have all you need with chocolate and words of wisdom. 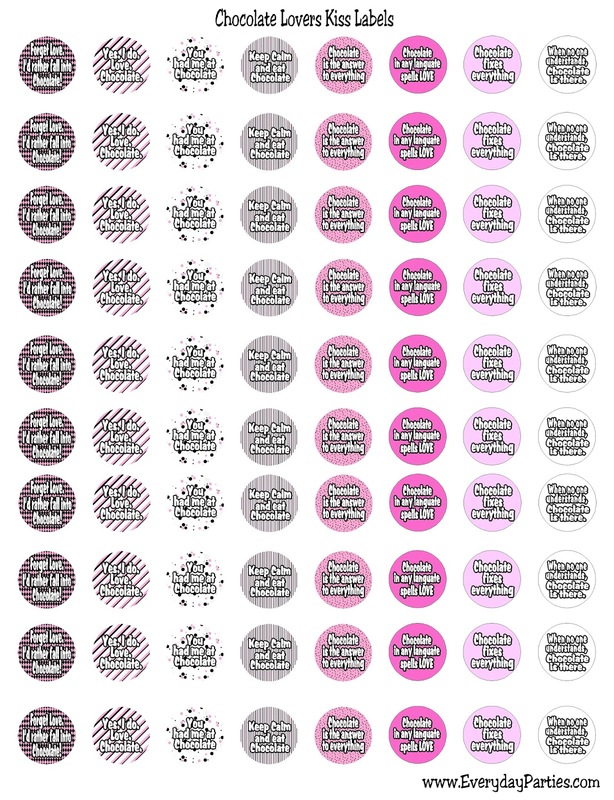 Simply save and print out these chocolate kiss labels. 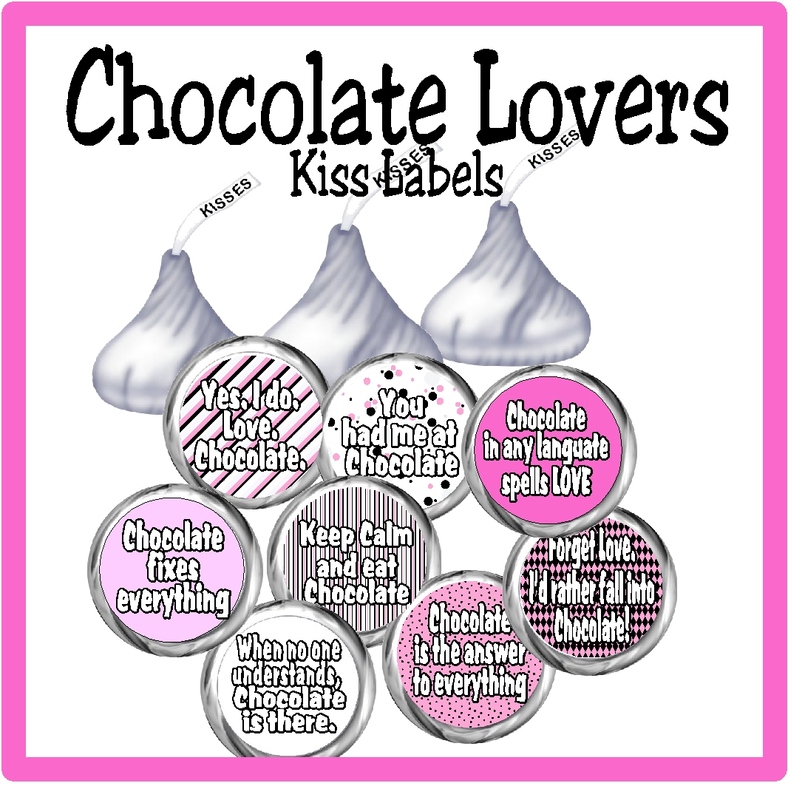 Cut them out with a 3/4 inch hole punch and place them on some Hershey kisses for a great girlfriend gift or friend gift. "Forget Love. I'd rather fall into Chocolate"
"Chocolate in any language spells Love"
"Yes. I Do. Love. Chocolate"
"You had me at Chocolate"